Is your Car hard to starter or sluggish in the mornings to get going? How important is your battery and alternator to your vehicle. Well the facts are that in most vehicles now it is so important that the battery is 70% or above in capacity due to the high electrical loads put on the vehicle systems by the manufactures. Having low battery voltage can in some cases become very damaging to the vehicle electrical system. Below are some causes that can happen when you have low battery voltage. Common systems caused by low battery voltage. Free Battery and alternator Test to make sure that you’re not in for any nasty shocks. Remember, at autogiant your family. So if your battery or alternators are still in good condition we will let you know. 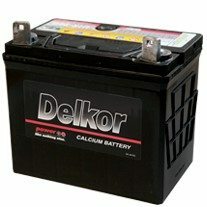 Don’t let your Battery Cost You unwanted Dollars!